A family has asked for help after birth, death and wedding certificates were stolen from a car in Hastings. Tina Louise said the paperwork – which belonged to her mum – was taken from her mum’s car in Hughenden Road, Hastings, between 9.45am and 10.05am today (Thursday, January 31). Appealing for help, Tina said her mum has recently lost her husband and mother-in-law. Tina said police have been out looking and CCTV covering the area between 9.45am and 10.05am is being checked. She said her family has searched all the bins in Hughenden Road. A police spokesman said: “At 10am on Thursday (January 31) we received a report that about 30 minutes previously a blue folder containing personal documents had been stolen from a car that was briefly parked in Hughenden Road, Hastings. 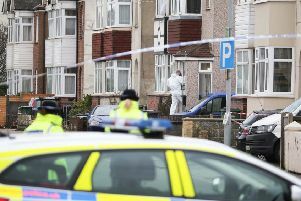 “Officers carried out an extensive search of the area for the folder and contents, and for a man described as white, chubby, balding and in this thirties, who had been seen near the car as the owner had walked away from it, but sadly nothing was found. “Anyone with information is asked to contact Sussex Police online at https://www.sussex.police.uk/contact/af/contact-us/ or by calling 101, quoting serial 324 of 31/01.